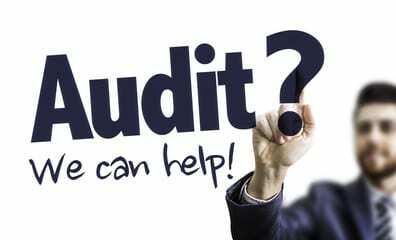 Part 1: Did you just finish a CMS program audit and are now required to hire an independent auditor? Part I: Did you just finish a CMS program audit and are now required to hire an independent auditor? Whether you just finished a CMS program audit and are required to hire an independent auditor (IA) or you are expecting an audit notice, a validation audit is likely in your future. Not all validation audits are alike and being prepared with an experienced auditor may be the difference between closing out your program audit or remaining under CMS corrective action. This three-part series will explain the purpose of a validation audit, the validation audit process, and what to look for when hiring an independent validation auditor. When issues of non-compliance are found during a program audit, CMS requires Sponsors to develop and implement corrective actions to remediate the issues. CMS informs the Sponsor in the final audit report whether a validation audit is required. The purpose of a validation audit is to demonstrate corrections of all identified audit conditions and to serve as a basis for the CEO attestation that the conditions are corrected and not likely to recur. The authority for CMS to require validation audits comes from CMS-4159-F2 (80 FR 7912-7966). In that final rule, CMS has the authority to require a Sponsor to hire an independent auditor to validate if the deficiencies that were found during a CMS program audit have been corrected. CMS has issued two HPMS memos regarding their expectations for validation audits and IAs. In the initial HPMS memo released on November 12, 2015, CMS outlined the steps of the validation audit process and described the roles and responsibilities of all parties involved. CMS later released an updated memo on April 2, 2018, outlining CMS’s expectation during the audit validation and close-out phase of the program audit. Validation audits have evolved in process and expectations since they were first implemented in 2015. Each validation audit is different due to the varying outcomes of CMS program audits. If your independent auditor does not have the appropriate experience to identify the nuances of a validation audit, they may be a hindrance to closing out your program audit. Medicare Compliance Solutions has performed numerous validation audits that have led to successful program audit close-outs. Contact us to learn how we can help you successfully navigate a validation audit. In Part 2 of our Independent Validation Audit blog we will describe the validation audit process.